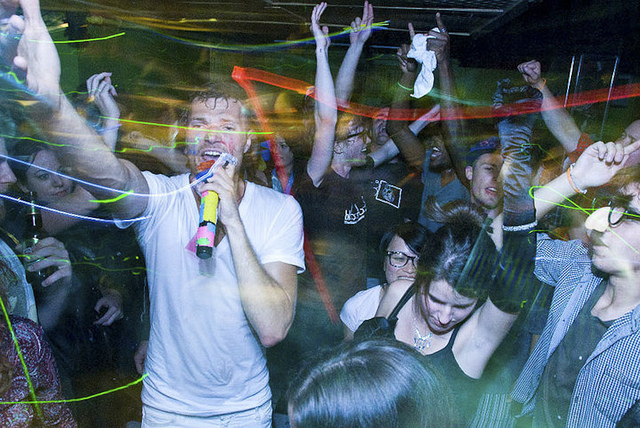 Rich Aucoin and pals at the Public Publication EP release show last year at Tiger Bar. It’s kind of like the Groundhog Day of tours: starting this week, Halifax-born-and-based experimental popsmith Rich Aucoin begins his month-long Rich Aucoin & Friends tour, which will take him from New York to Toronto, to Montreal, to Ottawa, and back again (and then again), as he embarks on venue residencies in multiple cities—all at the same time. It’s an ambitious schedule that also includes a mid-tour flight home to perform at the Canada Games opening ceremonies, features stops in Waterloo and Brooklyn, and wraps up with three more East Coast dates in Nova Scotia and New Brunswick. The idea of multiple shows in various cities initially seemed like a good one to Aucoin, though he tells us on the phone from Halifax that it wasn’t until everything was booked that he realized what he was getting himself into. And the music is ingrained in him, too—his brother is Paul Aucoin, mastermind of local supergroup the Hylozoists, as well as a general multi-instrumentalist and producer about town. 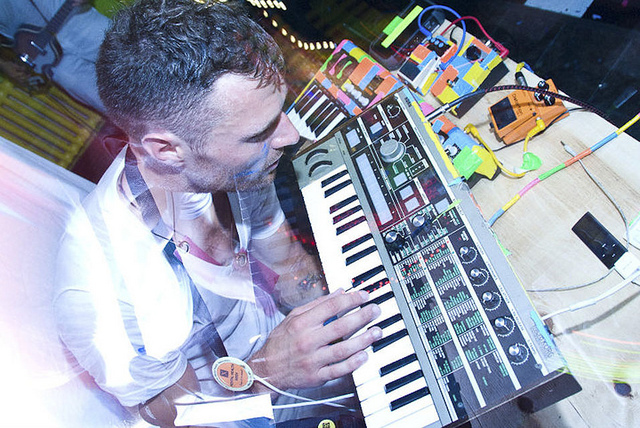 Rich first got to releasing his own musical projects with 2007’s Personal Publication EP, a self-made (he played and recorded over twenty-five instruments) indie-pop soundscape that was composed in sync with Dr. Seuss’s How the Grinch Stole Christmas. (He later got a cease and desist order for the online videos.) Most recent is the Public Publication EP (this time composed to an edited narrative of over forty public domain films), a teaser for the upcoming full-length of the same name. As the name suggests, the creative process was sort of the opposite the second time around. Without knowing the details of the EP, it’d be easy to hear its anthemic synth-pop as another home studio creation. Aucoin, though—being the fan of fun that he is—insists on carrying the communal experience over into his highly praised live shows, an engulfing mix of multimedia, props, and crowd interaction, all anchored by Aucoin’s own presence. With his late night TV appearance still in the wings for now, Aucoin readies for New York nonetheless, and admits that he still contemplates making the move to his home away from home. 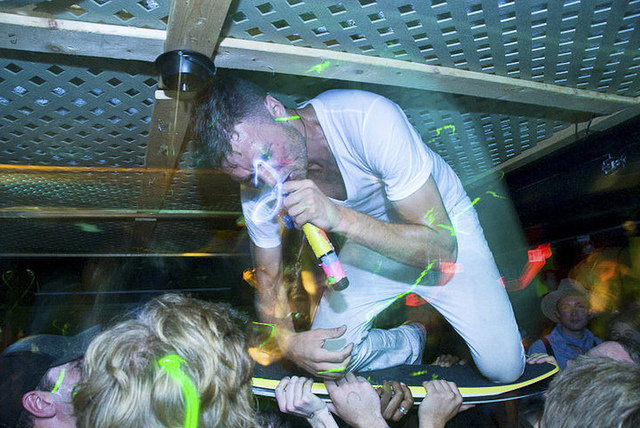 The first of Rich Aucoin’s three Drake Hotel shows is Wednesday, February 2. Tickets can be purchased online or at the door. $10.